South Fork Mountain Lodge is closed for the winter season and opens in the summer. You can book cabins for those times now. 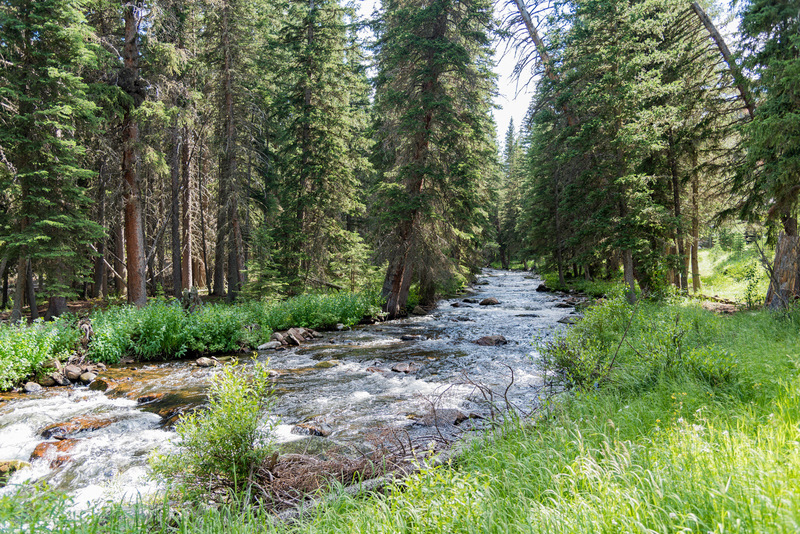 Along the South Fork of Clear Creek at an elevation of 7,700 feet, visitors can experience a variety of alpine environments and activities that suit almost any taste! 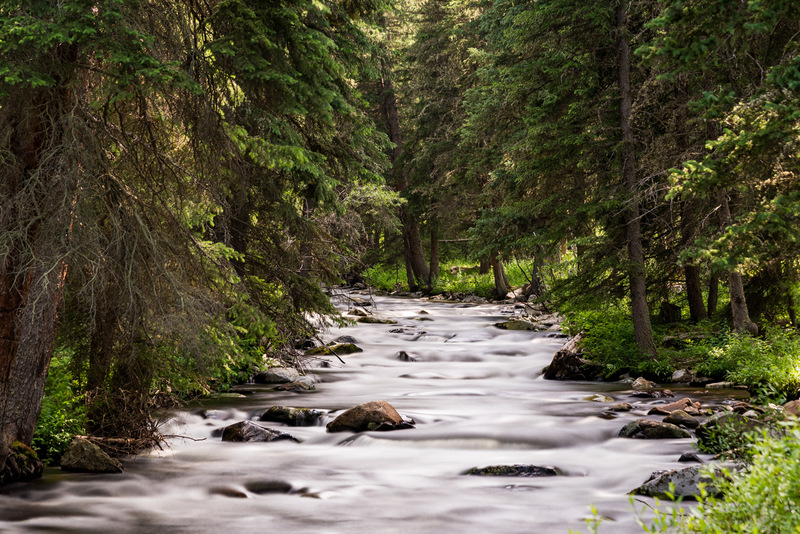 Trail hiking around South Fork is some of the most spectacular you'll ever experience. Wyoming mountain horseback riding is also a favorite of our guests. 2 hr rides are available. Pack trips and drop camps are also provided for those who wish to enjoy a true wilderness experience in the Cloud Peak Area. Both small and large groups are accommodated here at South Fork. "We spent three grand days at South Fork Lodge and will always cherish our memories of celebrating our 10th anniversary there. We stayed in the Elk Cabin, enjoying "Happy Hour" in the rocking chairs on our little front porch and had wonderful dinners and breakfasts in the Lodge. Sweet Kallista took us on a couple of most enjoyable horseback rides and we finally saw a moose! Bless Holli & Wayne and their crew for doing such a wonderful job and making everyone feel so very welcome. We have posted our picture on horseback with the Big Horn mountain peaks covered with snow in the background." "My husband, our oldest daughter, her toddler, and I had just one wonderful night in the roomy-yet-cozy Cowboy cabin. We had dinner and breakfast in the cafe, both quite delicious. Nestled along Clear Creek's South Fork, the sweet array of cabins is exactly what we envisioned when we looked for the perfect setting to recharge our spirits midway through a long road adventure. The proprietress, Holli, her staff, and the fellow patrons were all so lovely, warm, and welcoming - we hated to leave." Our rustic cabins provide relaxing mountain lodging; many of them are nestled along the South Fork of Clear Creek. South Fork Mountain Lodge is operated under special use permit issued by the USDA Forest Service.